This is the first season with Paavo Järvi as Chief Conductor and will clearly have a strong Nordic flavour, just as one would expect: Järvi will conduct (and record) all Tchaikovsky’s symphonies. To open the season (2,3 and 4 October), Sibelius’s epic Kullervo. And, as part of the Zurich Festival, a Shostakovich First Symphony, with the Elgar Cello Concerto in the first half (soloist Steven Isserlis). Järvi will also conduct Nielsen’s Second Symphony as part of his newly formed Conductors’ Academy (which he has started in his home town of Pärnu, Estonia). 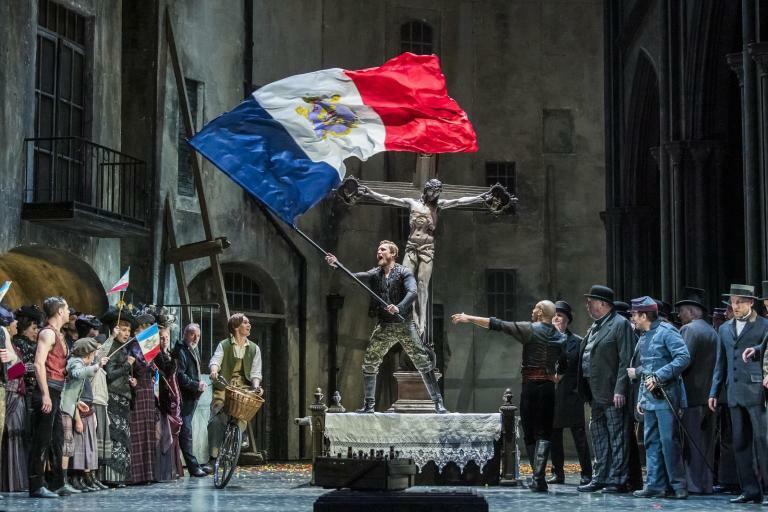 The season ends (19 and 21 June 2020) with a semi-staged performance of Fidelio. Former Chief Conductor David Zinman returns to conduct the Beethoven Triple Concerto and Seventh Symphony and Adams’s Harmonienlehre. Philippe Herreweghe conducts Schumann’s Second Symphony with Isabelle Faust playing the Beethoven Violin Concerto in the first half. The orchestra’s Creative Chair will be Erkki-Sven Tüür, with whom Järvi went to school. Christoph von Dohnányi conducts Schubert’s Ninth Symphony, Frank Peter Zimmermann in the first half with Mendelssohn’s Violin Concerto. There will be Shostakovich’s Eleventh Symphony under Joshua Weilerstein, Bruckner’s Fourth Symphony under Herbert Blomstedt, Also Sprach Zarathustra with Gianandrea Noseda (who takes over at Zurich Opera from Fabio Luisi in 2021), Dvořák’s Seventh Symphony with Rafael Payare, an interesting evening when Chick Corea plays Mozart’s Piano Concerto No.24 and Gershwin’s Rhapsody in Blue. Sir John Eliot Gardiner brings his Monteverdi Choir for a programme of Monteverdi madrigals, Finnish/Russian conductor Dima Slobodeniuk (Chief Conductor of the Lahti Symphony Orchestra and Artistic Director of the International Sibelius Festival) conducts Sibelius’s Second Symphony, Krzysztof Urbański conducts Pictures at an Exhibition, Robert Trevino conducts the Dream of Gerontius, hardly known to Swiss audiences. Anja Harteros sings Richard Strauss’s Four Last Songs in a programme of Wagner and Strauss, including Death and Transfiguration: Marek Janowski conducts. Sadly, the refurbishment of the Tonhalle concert hall will be completed six months late, so it will not be ready for the start of the 2020/21 season, but in March 2021. Concerts until then will continue to take place in the ‘temporary’ concert hall, Tonhalle Maag. For details of dates and many other concerts see the orchestra’s website click here.